5KCBWDAY2 – It’s all about Marvin! Dapper Meerkat, 16 months, GSOH, would like to meet similar……. Hello, my name’s Marvin and I’m a 16 month old meerkat and Knitwear Design Advice Guru. I was knitted at my owner’s home in the UK and I spend my days providing her with invaluable inspiration and advice on her designs (when she’s not abandoned me to work at a yarn shop). I’m 5″ tall, medium build, cute and fluffy with a glint in my eye 😉 (it must be the little glass beads)! 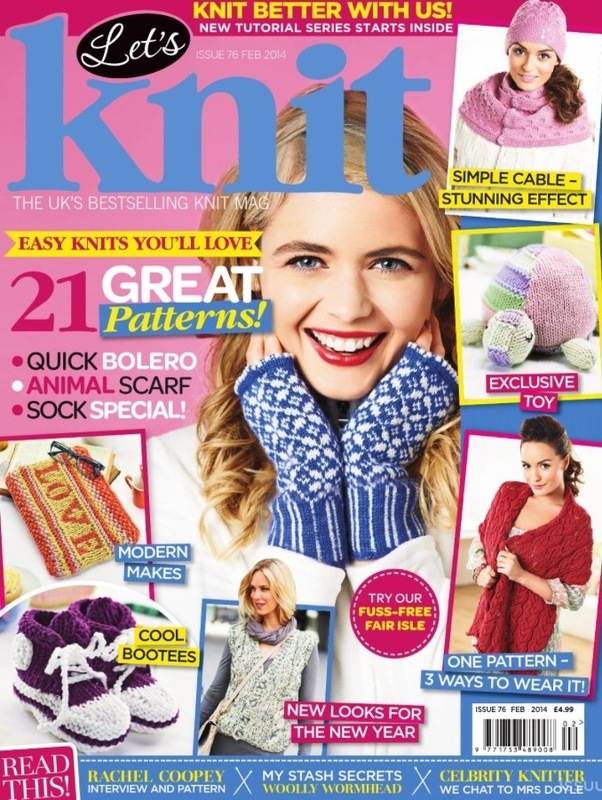 I’m interested in meerkat fashion, especially knitwear and I’m working on getting my knitter to expand my wardrobe. It’s the least she could do after I helped her to get a design on the front cover of Let’s Knit magazine, but no such luck yet. 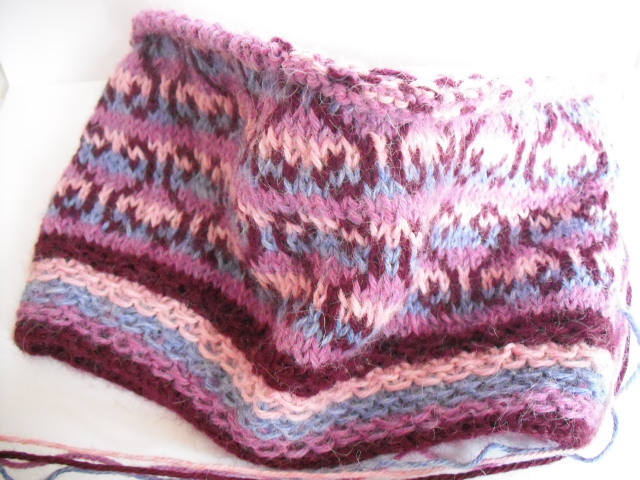 That design started life as a motif on my Nordic style jumper – a bespoke design just for me! I also have a bow tie. I’m quite the style icon in the meerkat world. I just need a sonic screwdriver, a TARDIS and an adventurous assistant! As for my dislikes, well, I don’t like being mistaken for an insurance salesman*, or being compared to other meerkats online. I also hate the cold, but that’s what my jumper is for! With that on to keep me cosy I can even stay out long enough to built a snow meerkat! In the long term I would like to meet other small meerkats and be given more responsibility in my role as Knitwear Design Advice Guru. Perhaps I could become a knitwear model or international trend setter? Anything but selling insurance! *In the UK, meerkats have become popular due to a character in a well known insurance comparison website advert, a campaign based entirely on the idea that ‘compare the market’ sounds a bit like ‘compare the meerkat’. Though Marvin is understandably grumpy about this, he should probably accept that without the rise in popularity of meerkats due to this the pattern for him would never have been published, I would never have been given a copy of the book containing it for Christmas and he would never have existed. 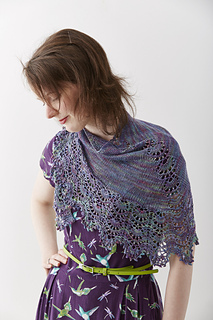 Runa is one of my designs for Artesano and you may have seen it in one another guise as one of the patterns in the Artesano Nordic Collection 2011 and also in Let’s Knit Magazine (Issue 51) about a year ago. I started this one back in January last year, and it really should be finished by now, but various design commissions have had to take priority, and usually once I have finished those I either have more ideas to explore and swatch, or I want to cast on something new that I have never knitted before or something mindless which I will inevitably get bored of (i.e. acres of stocking stitch) because my brain is crying ‘Enough! No more thinking, please!’. 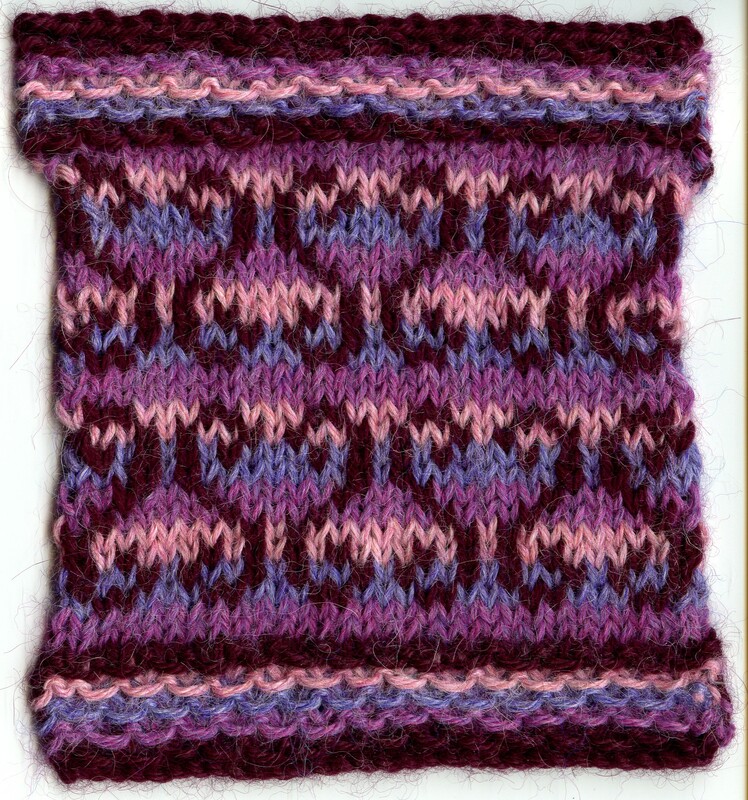 So although fairisle isn’t that hard, I end up putting it off. I could have taken Runa on holiday with me to finish, but as this version needs 4 balls of yarn, it just wasn’t practical, as I only have the crown left to do and I would have packed all the yarn I could fit in my case and then finished it and had NO KNITTING, which is obviously unthinkable. Anyway, back to the project itself. The reason I wanted to make another Runa is that originally submitted two colour schemes for this design. One in Artesano Superwash Merino DK, and one in Artesano Alpaca DK. In the end the Nordic Collection was worked in Superwash Merino DK (in two colours), but I still wanted to make a version in alpaca as I love some of the heathered shades that are available, especially in colourwork. 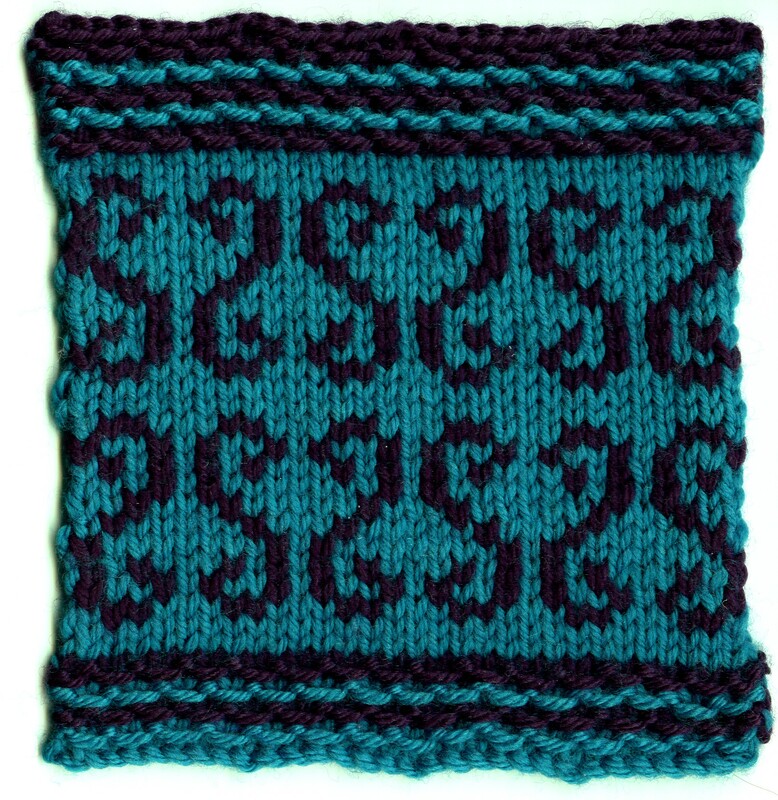 Runa was inspired by Viking carvings and heart shapes traditionally found in Scandinavian knitwear, so I wanted to reflect this in the two different colour schemes. The idea with this colour scheme was to show a different side to the design. To me, when you stripe the background in more girly colours the swirls look like little hearts, compared to the original two colour version which has a more graphic abstract look. 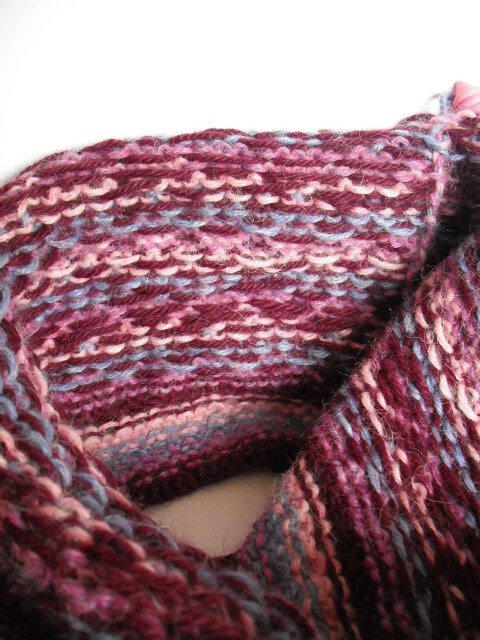 I like the way that with just a few changes like this colourwork patterns can take on a very different appearance. Even the wrong side has to be neat – I’m a perfectionist! So as you can see, it’s not as if I have fallen out of love with Runa, we just needed some time apart. But I want to get this finished (before summer – such as it is in Britain – arrives)!